The premise is ridiculous. It shouldn't work. But it does. I don't get it, either. But I'm a fan! Giant robot detective? I'm in. What did you love best about The Automatic Detective? This is a great, fun, twist on several genres. 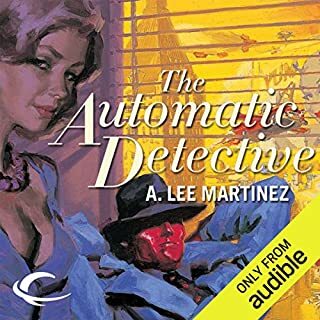 What other book might you compare The Automatic Detective to and why? Reminds me of the "Hard Luck Hank" series. 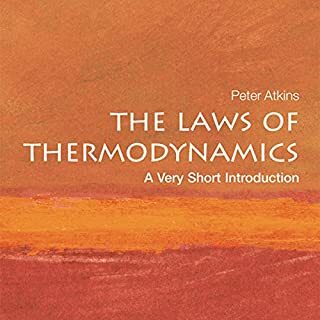 This book manages warmth, humor, and action very well. Martinez has made a career out of twisting sci-fi tropes into new kinds of characters, and this one is no different. 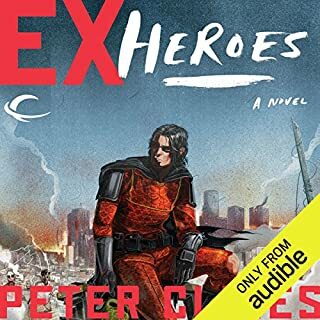 The world-destroying super-robot is now a taxi driver forced into solving a mystery; and the evil crime syndicate is just [SPOILER]. If not for the mutant gorilla sidekick, it would make no sense. This is old-school sci-fi with old-school crime noir, with new-school sensibilities. It's a treat. Quintessential Ringo. Macho Hero Kills Everything. This is Ringo doing Ringo. The protagonist is a hyper-masculine super-badass auto-didact who is good at everything. Being awesome at everything saves on exposition so he can get right down to the monster-killing. Ringo writes action better than anyone else, and when he focuses on that, his books are tons of fun. This book is pure fun. The character is farcical, his situations are right-wing fantasies, and there is never any doubt as to how it's gonna go. But it all works within the context it is presented, and gives Ringo plenty of time to get into the action, where he truly shines. 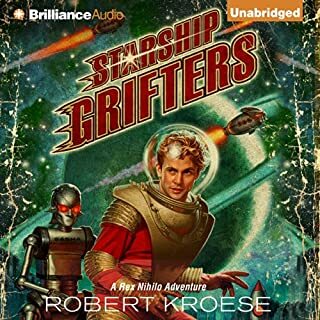 What would have made Starship Grifters better? The characters are entirely flat and serve no other purpose than to either deliver set-ups or punchlines. It's a 'Saturday Night Live' sketch, not a story. The entire book is very funny. The laughs are definitely in there. This is a funny book. But story, pacing, characterization, and structure are all sacrificed at the altar of humor. It's just an endless series of slapstick Benny Hill action sequences with Abbott and Costello repartee. It wants to be a Douglas Adams book very badly, but just doesn't deliver. Martinez has too much fun, sometimes. 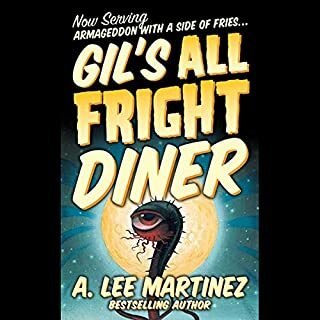 What made the experience of listening to Gil's All Fright Diner the most enjoyable? Narration was great. Characters were all distinct and believable when heard through the narrator's voice. It was humorous without being heartless. It managed to hit all the right chords when it came to characters, places, and action. This is a story that is just plain fun, with just enough pathos to remind you that life isn't all jokes and tropes. What a a fun book. Martinez loves to make quirky, flawed characters that all seem to feel like they are the protagonist. The two heroes of this story are just plain ridiculous, and it works. A love letter to post-apocalyptic tropes. Time spent reading is always well-spent. This was a decent read, and did a nice job of giving all the good parts of the genre plenty of time to play. 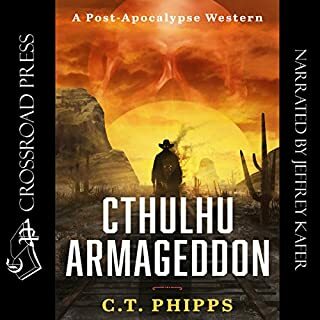 Integrating Lovecraftian elements into a fairly-rote post-apocalyptic fantasy was a nice touch. This was obviously a labor of love for a dedicated fan of video games and classic sci-fi. It is well-enough written, with echoes of Gaiman and King. It just never really achieves the level of technical literary proficiency that Neil and Stephen manage to hit. 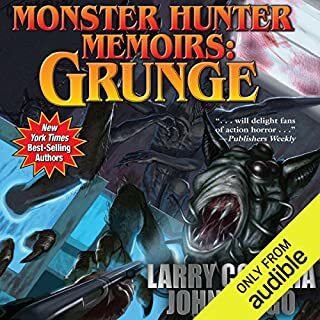 I enjoyed the brutally quick pacing, the fantastic creatures, starkly bleak characters, and creative blending of genres. This was a fun romp, if not an instant classic. I will watch the author, though, because there are moments of real brilliance in this book. Just needs some prosaic polish. Keeping formulae straight with only verbal medium was never going to be easy.